Obituary for Mr. Roy W. Wallace | Hinchliff-Pearson-West, Inc.
Roy W. Wallace, 50, of Galesburg, died at 12:11 a.m. Tuesday, February 5, 2019 in the emergency room of Galesburg Cottage Hospital. He was born March 19, 1968, in Galesburg, the son of Ronald and Linda (Thurman) Wallace Sr. He married Peggy L. Garman on September 19, 1986, in Galesburg. 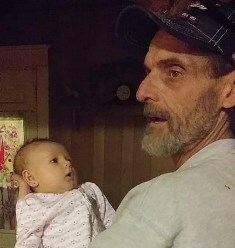 He is survived by his wife of over 32 years, Peggy; his father and step-mother, Ronald and Leona Wallace of Florida; three daughters, Misty Garman and Mandy Garman, both of Galesburg and Jamie Buxton of Ottumwa, Iowa; four granddaughters, Nia, Tayia, Mercedes, and Kalley; five grandsons, Kobe, Dane, LaMont, LaBron, and LeTrell; a great granddaughter, Novalyn; and four sisters, Rhonda, Ruthann, and Shelley, all of Florida and Becky of Louisiana. He was preceded in death by his mother and step-father, Linda and Raymond Boyd; and a brother, Ronald Wallace Jr.
Roy was a supervisor for Gibbons Masonry and Concrete for the past 32 years. He enjoyed NASCAR and football, especially the Chicago Bears. Roy also enjoyed coloring, whether it be with crayons, colored pencils, or markers. He loved being a grandpa and spending time with his grandkids. Visitation will be 5 to 7 p.m. Friday, February 8, 2019 at Hinchliff-Pearson-West Funeral Directors and Cremation Services Galesburg Chapel. Funeral service will follow at 7 p.m. with Jim Brady officiating. Cremation will be accorded following the service. Memorial contributions may be made to the family. Online condolences may be made at www.h-p-w.com.